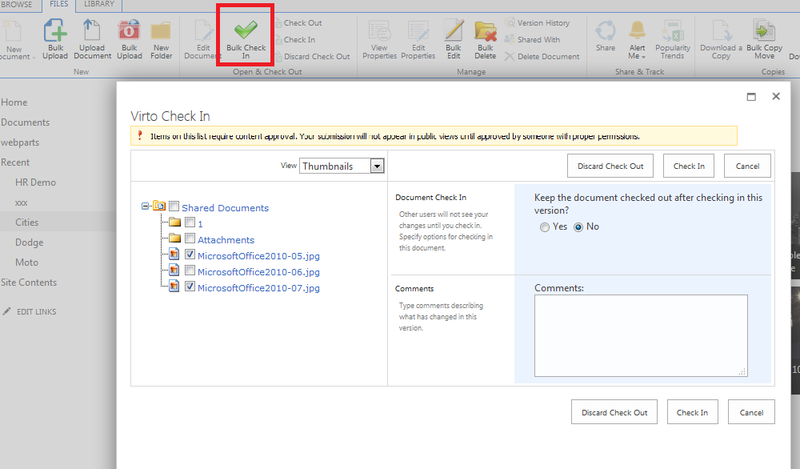 When you have installed Virto SharePoint Bulk File Check In and Approve and activated it, you can use it either as a web part placed on a SharePoint site page or as an additional feature in “Actions” menu in a SharePoint list or library. This bulk check in function allows you to avoid the need of manual checking in each file individually. It enables you to check in multiple files quickly and easily. 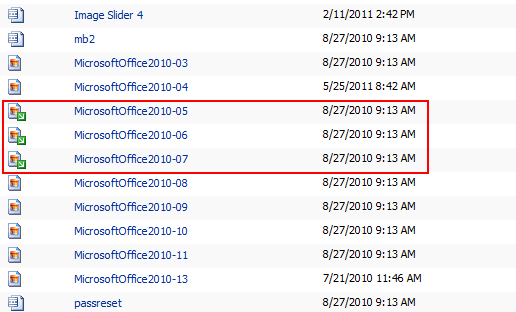 Files to check in are marked with special icon. Go to ribbon and choose “Bulk Check In”. The list of files in check in status will be displayed. Check the checkboxes opposite required files and use “Check In” button to check in them or “Discard Check Out” to check these files out. If document versioning is enabled, users with approve ability are allowed to approve or reject files (current versions). Go to “Actions” menu in document library and click “Bulk Approve”. 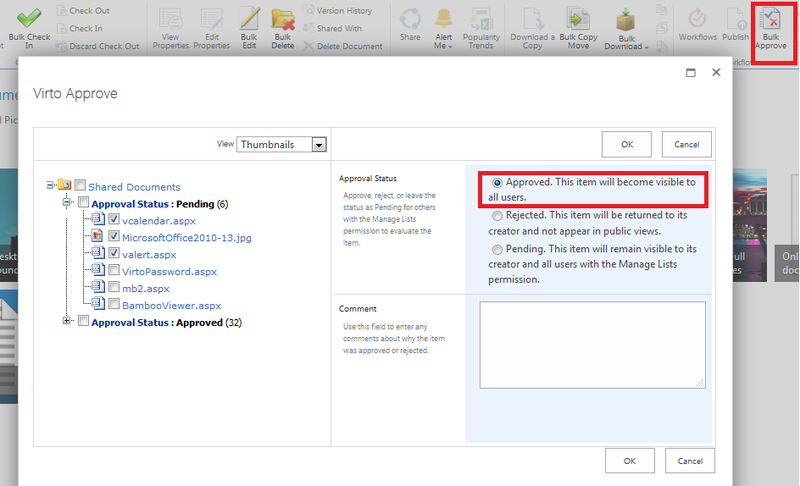 You can define view, for example “Approve/reject items” and select files to be approved or rejected. Depending on file’s status you can approve or reject it or send to “Pending” status.